The program is called Oklahoma Promise, which offers free college tuition for students who do well in high school and meet certain income requirements. But that “promise” would, in essence, be broken for many Oklahomans by a legislative bill decreasing the number of state college students now eligible to participate in it. House Bill 1721, sponsored by Leslie Osborn, a Mustang Republican, would restrict more students from participating in the program by lowering the family income requirement at the time a student starts college from $100,000 to $60,000. This would mean around 500 students wouldn’t be considered for the program in 2014, according to higher education officials. The House recently passed the bill. Students can apply for acceptance in Oklahoma Promise in the eighth through tenth grades. At the time of their application, their family income can’t exceed $50,000 and they must maintain certain grade requirements and take certain types of classes. Once it’s time to go to college, their family income can’t exceed $100,000. Osborn’s bill, of course, would change that. The program, created in 1992 by the state legislature as the Oklahoma Higher Learning Access Act, was designed to help lower-income and some middle-class students go to college in a state that has a chronically low graduation rate when compared to the national average. The highly-successful program has grown substantially through the years, costing more and more money, and the growing cost is why Osborn said she offered the bill. Today, the program costs the state $60 million. In 2003, it cost $4.5 million. Osborn said she wants to maintain the program for the neediest students. I think the Oklahoma’s Promise program is one of the best our state offers. I fully support the idea of hard-working students of low-income families receiving a scholarship from the state to achieve their educational goals. That said, our current law does not restrict the program to low-income families. Children of families earning $100,000 a year are currently able to receive this scholarship. We are lowering that threshold so that the scholarship is entirely directed to low-income families. Give Osborn some credit for her support of the program, but it’s difficult not to see her bill as part of a larger attack by conservatives on higher education here in Oklahoma. Some Republicans are promoting tax cuts this session that could cost the state $120 million annually at the same time they are trying to reduce the number of students eligible for Oklahoma Promise. The tax cuts would primarily benefit the wealthiest Oklahomans. That the state needs more college graduates should go without saying. Right now, 22 percent of Oklahomans hold a college degree compared to the national average of 27.7 percent. College graduates make higher incomes and improve the quality of life where they live. Companies here increasingly need an educated workforce. 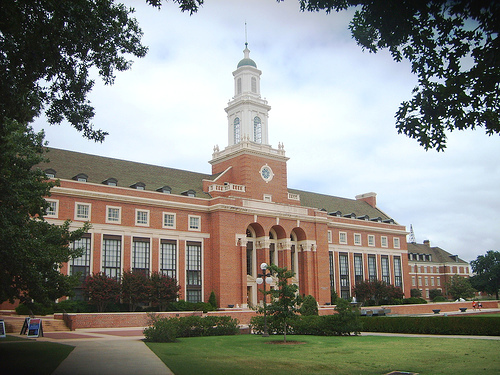 If anything, the income parameters of Oklahoma Promise should be expanded not restricted. As a college professor, I know firsthand the increasing financial difficulties our current college students face in light of rising tuition and other costs. Too often, students either drop out or end up with debilitating debt once they do graduate. Our current system isn’t sustainable. Senate Republicans and Gov. Mary Fallin, who has spoken in favor of the need for more college graduates here, should stop this bill from progressing. If the Republican-dominated Senate supports this anti-education initiative, then Fallin should not hesitate to veto it. Higher education leaders need to continue to speak against the measure.